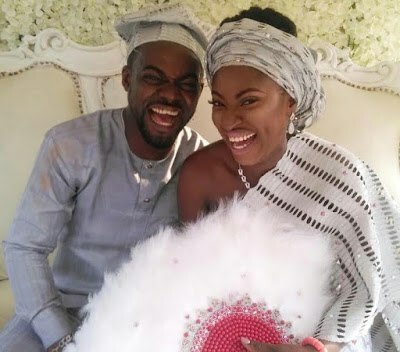 Yvonne Jegede’s estranged husband, Olawale ‘Abounce’ Fawole has replied a nosy Instagram follower who tried to interfere with his shaky marriage situation. 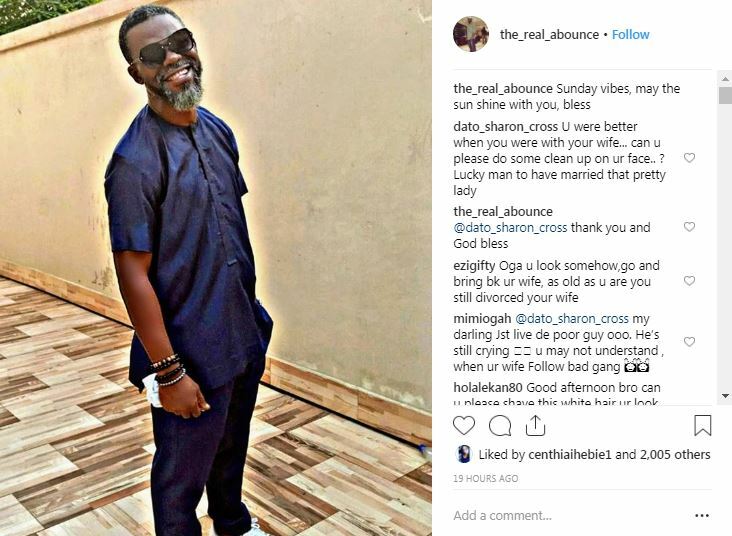 The nosy follower had taken to the comments section of Abounce’s Instagram page on Sunday, March 17, 2019, where the rapper turned actor had posted a photo of himself. Well, we guess the follower didn’t expect what he or she envisaged. “dato_sharon_cross U were better when you were with your wife… can u please do some clean up on ur face..? Lucky man to have married that pretty lady,” the nosy follower wrote. Abounce, on the other hand, went on to reply the follower with a statement she didn’t see coming; “@dato_sharon_cross thank you and God bless,” he wrote. We all know how the news of Yvonne Jegede and Abounce’s failed marriage hit the Internet. First, the news came as mere speculations then came his absence from their son’s naming ceremony. 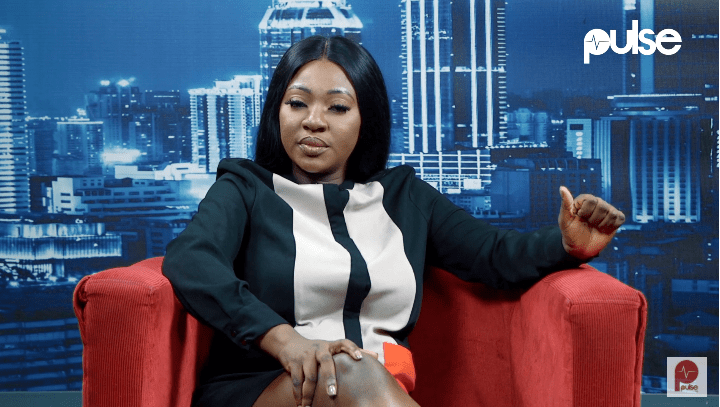 It didn’t take long before Yvonne Jegede granted an exclusive interview with PULSE where she gave a comprehensive detail of the crisis rocking her marriage and insisted that she didn’t cheat on her husband. In an interview with Pulse, Yvonne emphatically stated that she did not cheat on her ex-husband, Abounce. The ‘Being Annabel’ actress said she gave the marriage her best short but quit months after she got pregnant. “No, not at all. Maybe he’s doubting me, I don’t know but I am very certain about myself that not even when I was trying to become pregnant. I never even dated before I got married, I didn’t do it after we got married, so I wouldn’t do it while we were trying to have a baby together. As I said, it took us almost four months, so it couldn’t have been that era. So for me, I was very clean and committed,” the actress said. 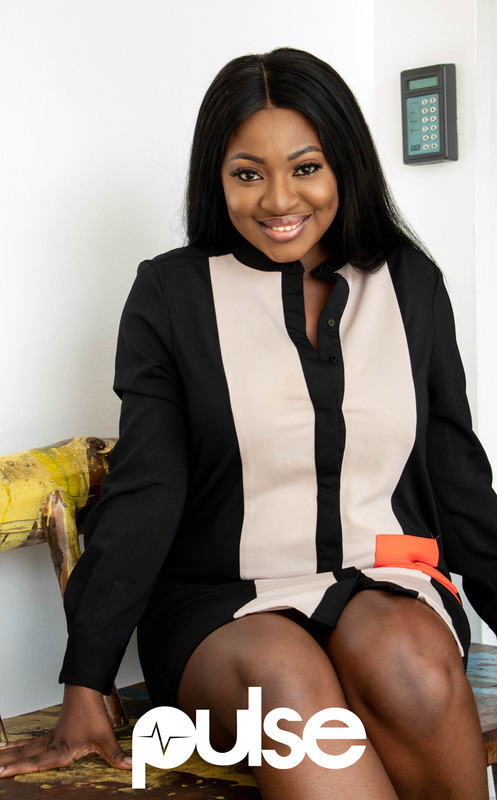 Yvonne Jegede opens up on her failed marriage to Olakunle ‘Abounce’ Fawole. Yvonne also told Pulse that she didn’t suspect neither did she catch Abounce cheating on her.